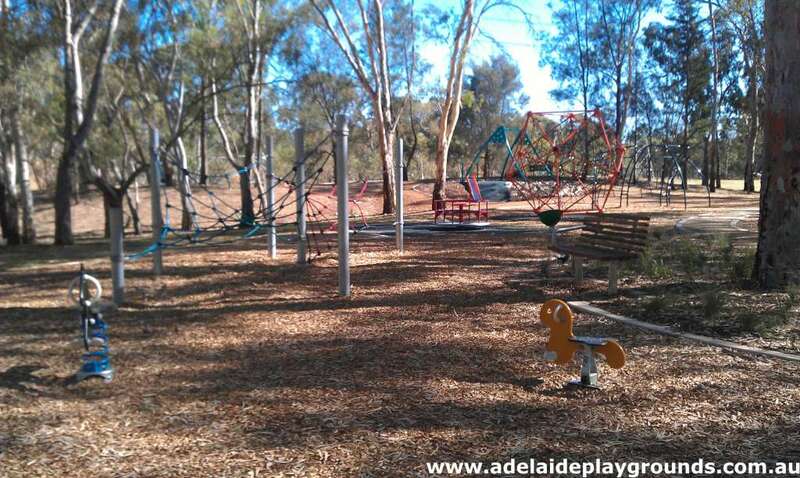 This playground is new to Harry Bowey Reserve. 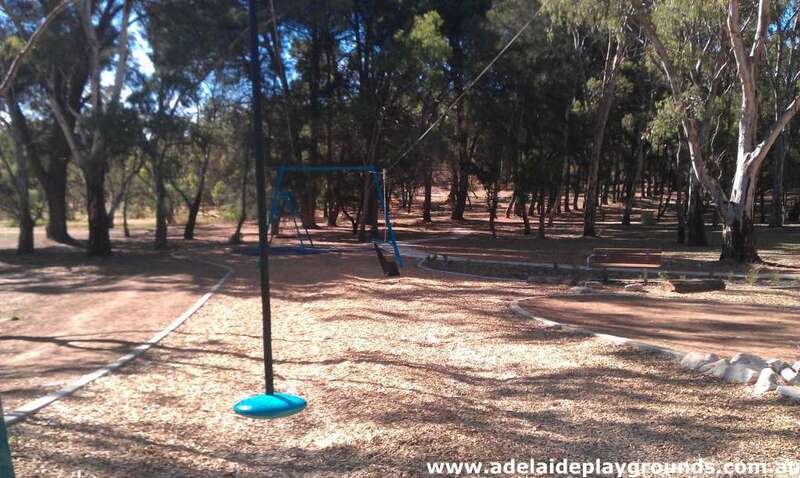 Unless your child is confident enough to climb rope structures you probably want to give this one a miss until they are ready as most of the equipment is climbing orientated, which is why I recommended it for children 5+, however there a few things for younger children. 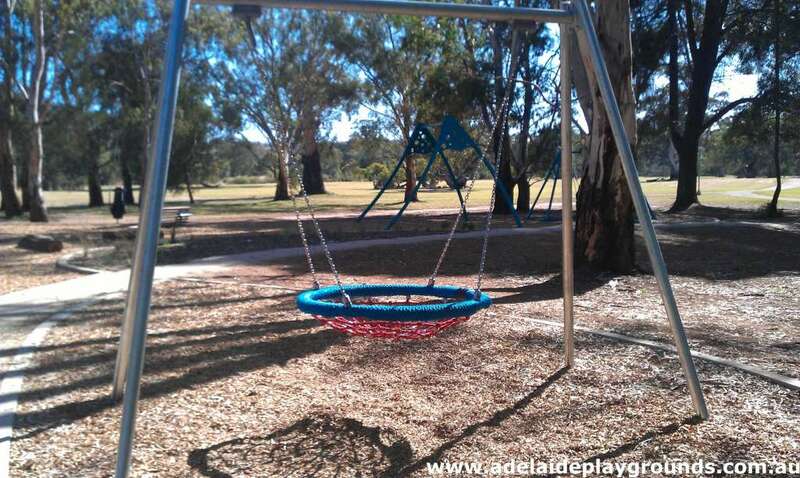 There is a flying fox, roundabout, big swings and one lonely slide too, plus lots of grass area to play cricket and the like. 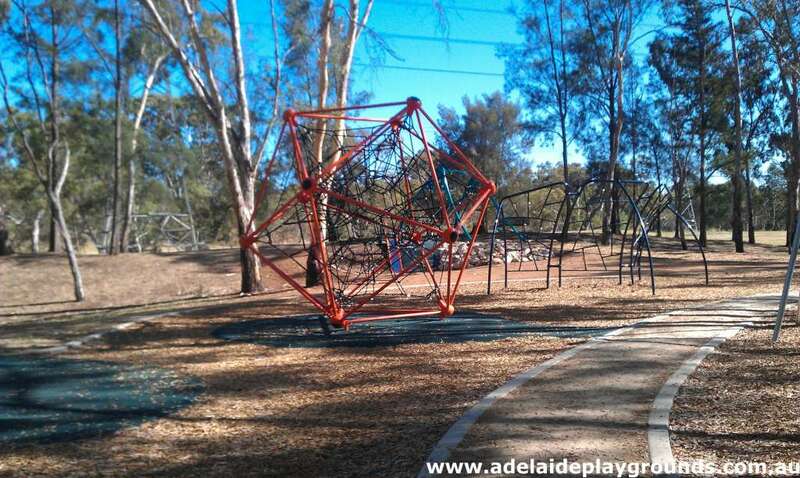 A word of warning though, don't sit in the green spinner....it doesn't stop! 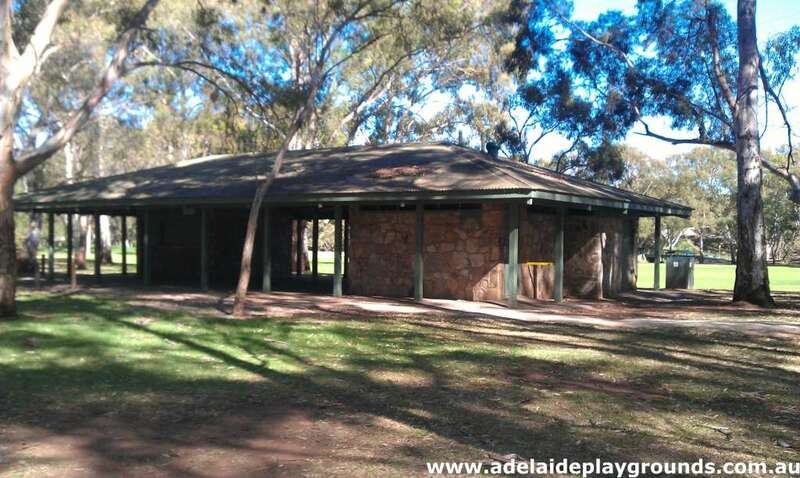 A good place for a family/friend gatherings as there is are a couple of shelter areas you can utilise.